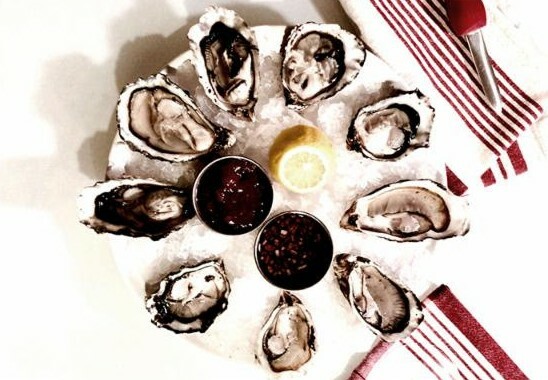 Grand Central Market will be gaining another new tenant next week: the long-awaited oyster bar from Christophe Happillon, The Oyster Gourmet. Happillon, who is Los Angeles’ only Master Ecailler (shellfish master) is known for his pop-up oyster bars at Joe’s, Akasha, Church & State, Perch, and Le Zinque. At this first restaurant, you’ll be able to grab a front-row seat at a 14-seat circular raw bar and enjoy shellfish and other freshly shucked delicacies. On the opening menu will be oysters, clams, shrimp, sea urchin, and some raw fish preparation to be enjoyed alone or combined as a platter. The seafood will be sourced from the West Coast as much as possible, with each selection certified ecologically sustainable. The menu will also include wine and champagne pairings, thanks to the Grand Central Market’s new beer and wine allowances. The Oyster Gourmet will be open starting Oct. 30 from 10 a.m. to 6 p.m. Sunday through Wednesday, and until 9 p.m. Thursday through Saturday.